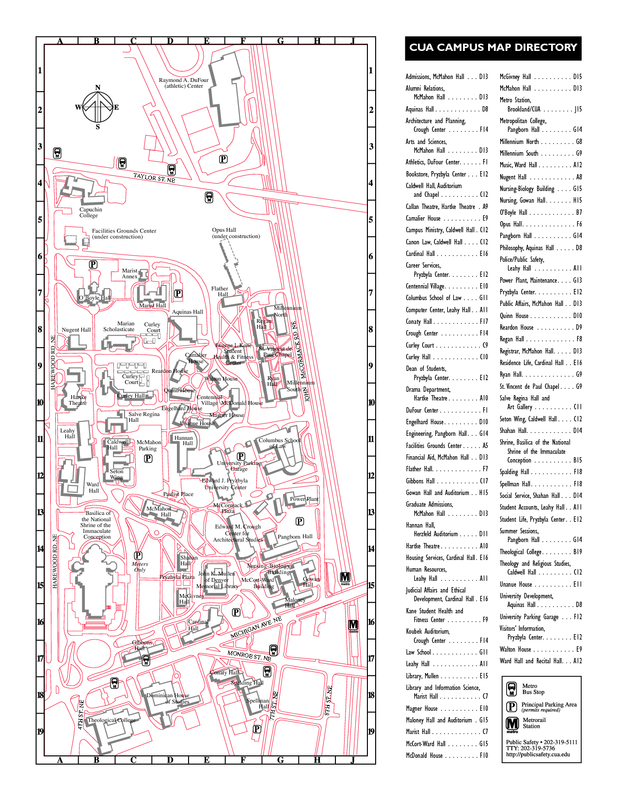 For parking, please use the parking lots in grid c12, g13, e7, or b6 on the CUA campus map. The parking permits should be displayed in your car either over the front mirror or on the dashboard. Please avoid parking in spots specifically reserved for either students, faculty or staff. This page was last modified on 15 January 2018, at 12:25.